Lengkong is located in the Sukabumi Regency, West-Java. Until 1999 Lengkong was covered with a vast area of primary tropical sub-montane forest with high biodiversity. 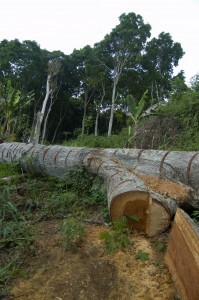 Unfortunately from 1999 until 2004 massive deforestation led to the regions current state of fragmented small forest patches. 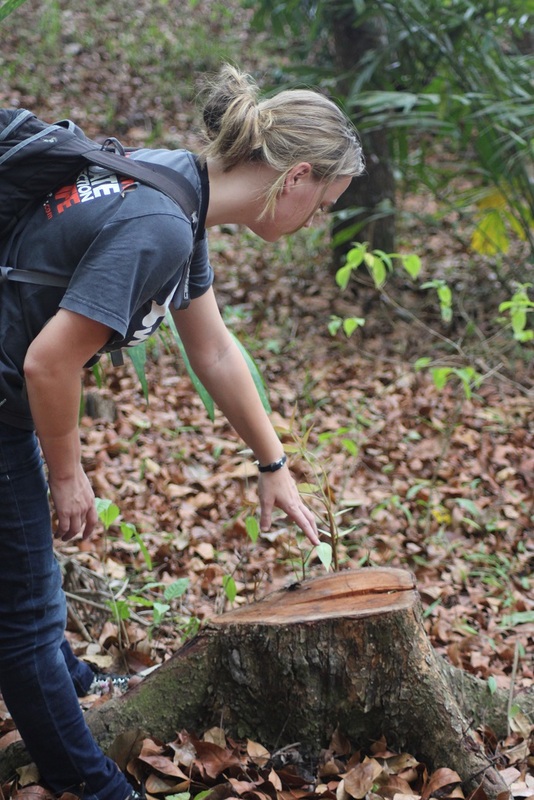 Forcing the animals to live in these forest patches and are treated with extinction due the increase of human-wildlife conflicts. 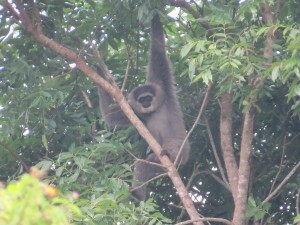 Wanicare visited the area in 2012 because Cikananga Wildlife Center received a total of 5 silvery gibbons that were confiscated and rescued 2 leopards due to human wildlife conflicts. On arrival it was immediately clear that the habitat of the wild gibbons in this area was degraded and the groups were living in isolated small forest fragments. From this moment the Wanicare Foundation started a program to help the local authorities to ensure the future of these animals. 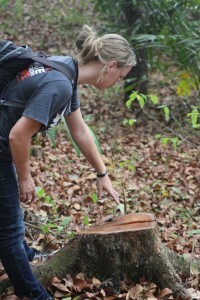 In 2013 Inge Tielen started a research for her MSc Forest and Nature Conservation Thesis to assess the situation (food availability, logging activity and poaching risks) and study the vocal behavior of gibbons in degraded habitat. First we visited Cibaginde, which is a 9 hectare Mahogany production forest patch, surrounded by farmland and a village. This forest is the home of a Silvery gibbon family group. Because the leaves of the Mahogany tree are not a natural food source of the silvery gibbon, this family group is obligated to go to the floor to collect leaves from some bushes or steal fruits from the villagers. 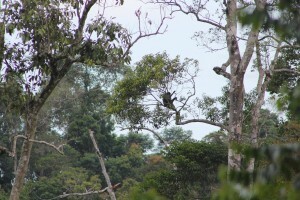 Fortunately the local community and owners of the forest are very proud that these gibbons are living nearby and support the group by offering fruits. This may have saved the current gibbons from vanishing, however on the long run, this group will go extinct. This is confirmed by the information that was gathered from local people, which state that the group size is slowly decreasing from 10 till the current number of 4 individuals in the last years. Another threat is that due to high accessibility of the forest this group is an easy target for possible poachers and reports confirm this as in 2011 a baby gibbon was captured and sold on a local market. September 2014 reports came in that this family is facing a new threat, illegal loggers are active in this area and many trees disappeared. With this new threat we are now urged to take action to save this group soon and at this moment we are communicating with authorities and conservation organizations to find the best solution. 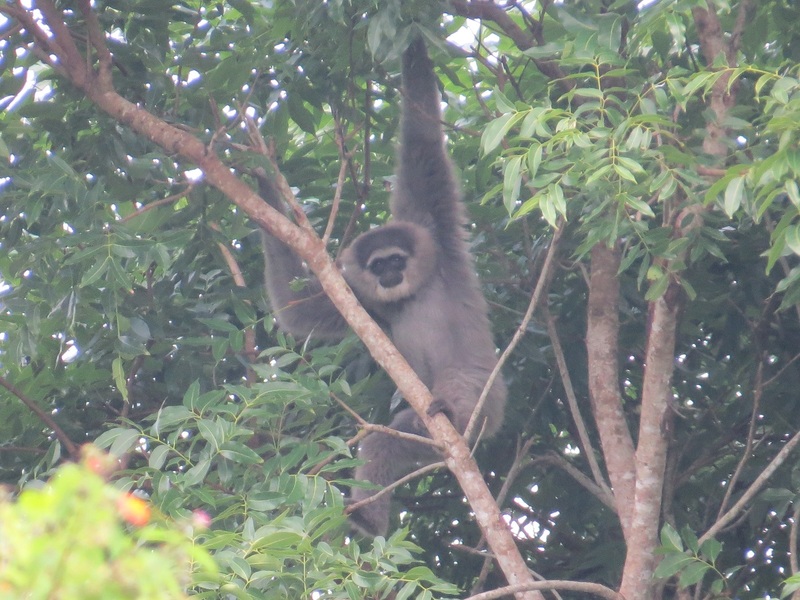 In 2017, Inge is still leading the Gibbon Program Lengkong, and we are very please to have found cooperation with The Silvery Gibbon Project to create a better environment for the Gibbons of West-Java. 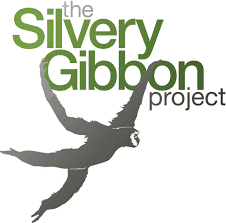 A report of the 2016 developments by Inge Tielen can be found in the Status Report 2016 Gibbon Program (Posted february 2017).